When it comes to packaging, Louboutin is undoubtedly the king of luxury. 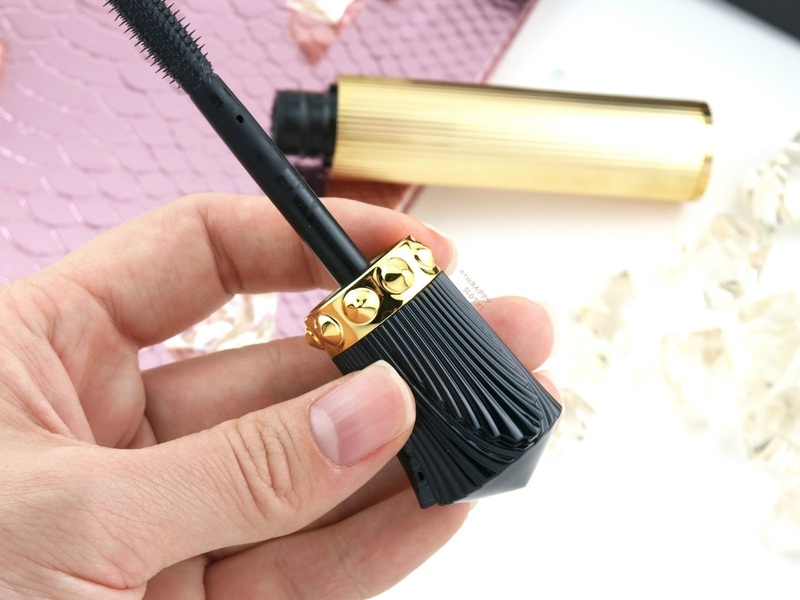 The Les Yeux Noirs mascara comes in a stunning gold and black metal tube with gold studs encircling the cap. The overall design has a classy yet modern art deco vibe and packaging is heavily weighted for an ultra luxurious feel. The mascara has a simple plastic wand with straight rows of evenly-spaced bristles. The bristles aren't too long so I was able to coat even my shortest lashes. I personally would have preferred a standard brush applicator as I found this one a bit clumping. Nevertheless, the applicator gets the job done and the overall packaging is a stunner! Designed to volumize, define, and lengthen, the Les Yeux Noirs Lash Amplifying Lacquer Mascara in "Khol" features a carbon black formulation that's not too runny and not too chunky. The mascara applies smoothly; it's very defining and provides a nice volume. There's absolutely no clumping with the first coat but when I try to go in for a second, things get a little messy (which is what you see in the swatches below). 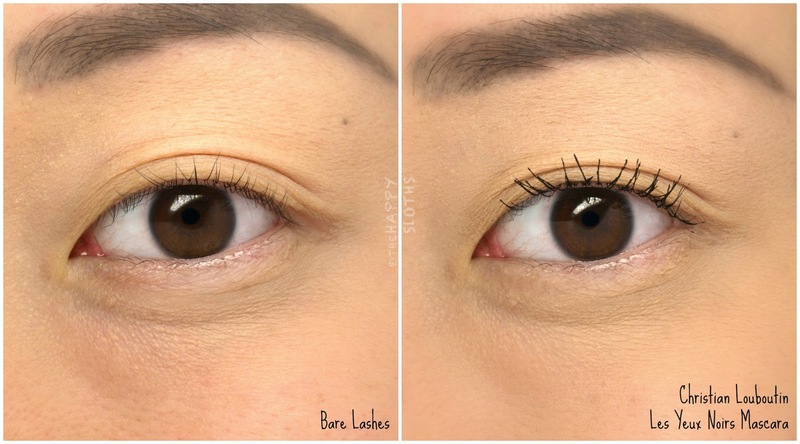 If you have short, sparse lashes like mine, I'd recommend sticking with only one coat. What I like the most about this formulation is how well it keeps curls in place. 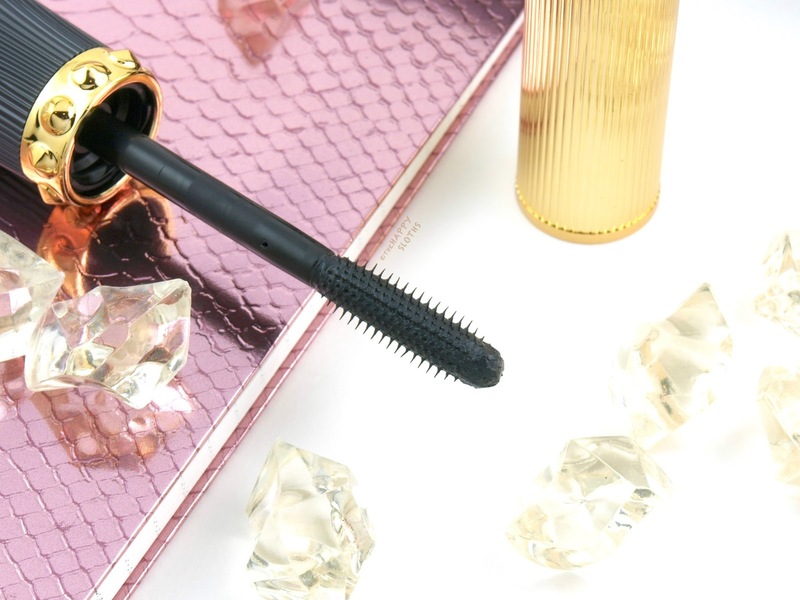 With a regular mascara, my lashes get weighed down just thirty minutes into wear but with the Louboutin formulation, the curls held in place the entire day. Although not waterproof and easily removable with warm water and soap, the mascara wears really well. It's virtually smudge-proof with no flaking, as long as you take care to avoid rubbing your eyes. 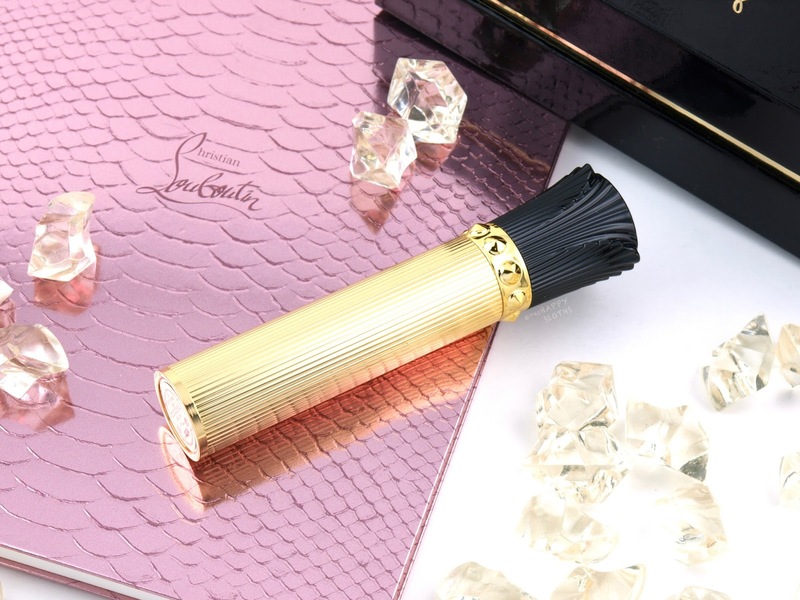 Christian Louboutin Beauty | Les Yeux Noirs Lash Amplifying Lacquer Mascara in "Khol"
If you've read my past reviews, you'll that I'm a tough critique when it comes to mascaras. Since I have straight, short, and thin lashes, I'm very picky about the formulation. However, this one is a winner for me. 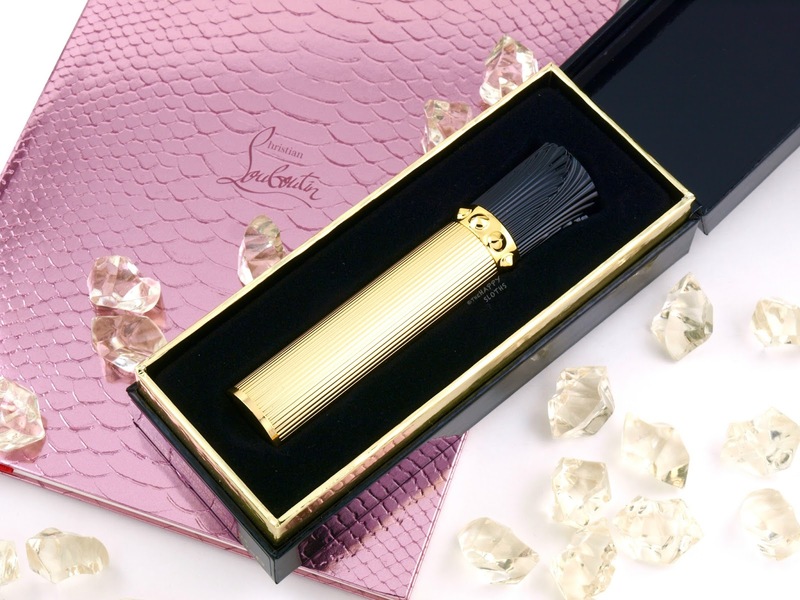 Aside from the amazing packaging, the Les Yeux Noirs mascara is defining, long-lasting, and great at holding curls. If you can afford the hefty price tag, then I'd definitely recommend giving this a try! Christian Louboutin Beauty is available in Canada online at Christian Louboutin and in stores at Holt Renfrew and Nordstrom.